It doesn't look so bad in the photo as I remember. This poor, abused, badly sewn and massively quilted lap quilt was my first. And wow, did that ever show! ALmost every seam had issues. But, I learned a lot, and when it was given to my boyfriend's mom, she loved it very much. 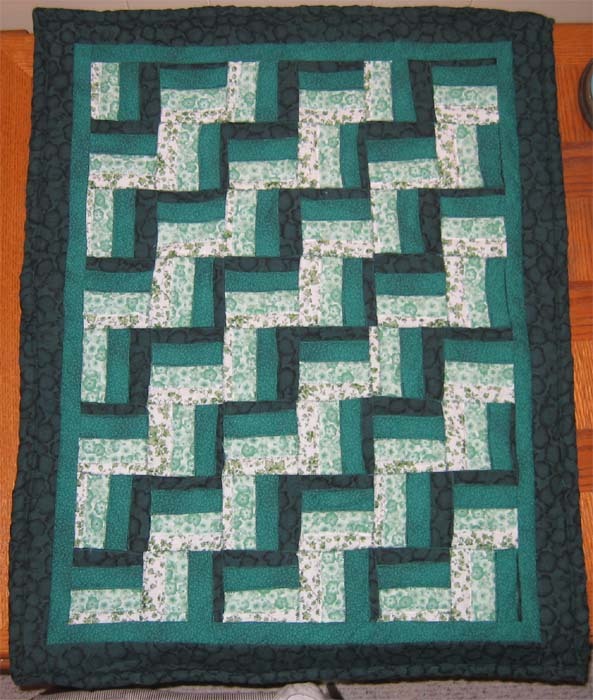 I guess no matter how ugly the quilt is, the joy of its given makes it worth it.